Giuliani S.r.l. is able to cater to the needs of its customers in the very best possible way, starting with the design phase right up to new product type approval and testing, according to the specifications of individual customers. The design stage, during which utmost willingness exists to interact with the customer's project, conveys the know-how required to make new cutting-edge technology and high-performance products. The company uses three-dimensional design tools as well as specific software for sizing and checking the structure of the designed parts. During design, Giuliani S.r.l. applies the ISO/TS 16949:2002 (APQP, PPAP) standard. Giuliani S.r.l. is able to test its products and conduct type-approval tests according to customer specifications. Endurance test able to simulate the life of the machine on which the cylinder is installed, making the application operate around the clock in heavy-duty conditions. It works in adjustable fluid temperature conditions. The work torque can be constantly adjusted and cylinders can be tested up to a max pressure of 250 bar. The bench features full electronic control, is programmable from PC, provides extreme flexibility and precise test reports. Low-temperature seal test to test cylinder operation under stress in extreme weather conditions. Min temperature -35°C. Test under stress reproducing the max acceptable stress on the application. 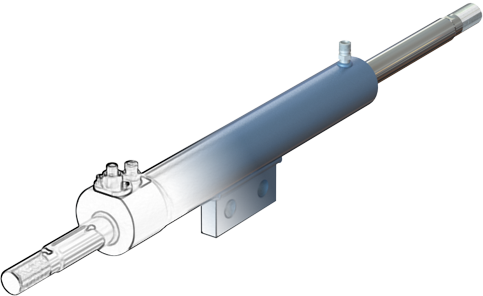 It tests mechanical and hydraulic performance of the cylinder in operating conditions. Mud test to check the correct operation of the cylinder in a contaminated environment. Burst pressure test to statically test the cylinder at pressures up to 1000bar. The performed tests are constantly monitored and the test data are collected in a Database and processed to obtain a final report.